Two women with skin conditions talk about their experiences. DERMABLEND IS A brand of cosmetics especially designed to conceal skin imperfections. However, for their latest ad campaign they asked women to take off their make-up on camera – and talk about how that made them feel. The results are surprisingly moving, and have been shared around the world. Cassandra Bankson, who has struggled with bad acne, talks about what her life was like as a teenager. Visibly emotional, she recalls being told that it was good her grandfather was dying, because he’d never have to see her face again. And Cheri Lindsay also talks about the challenges in her life. She has vitiligo, which causes depigmentation of the skin in patches. Dermablend are also encouraging other women to join the campaign, using the #CamoConfessions hashtag. Email “These 'inspiring' make-up ads are going viral - by revealing women's real skin”. 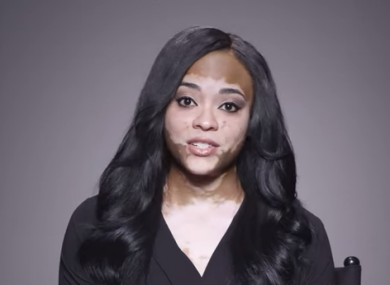 Feedback on “These 'inspiring' make-up ads are going viral - by revealing women's real skin”.